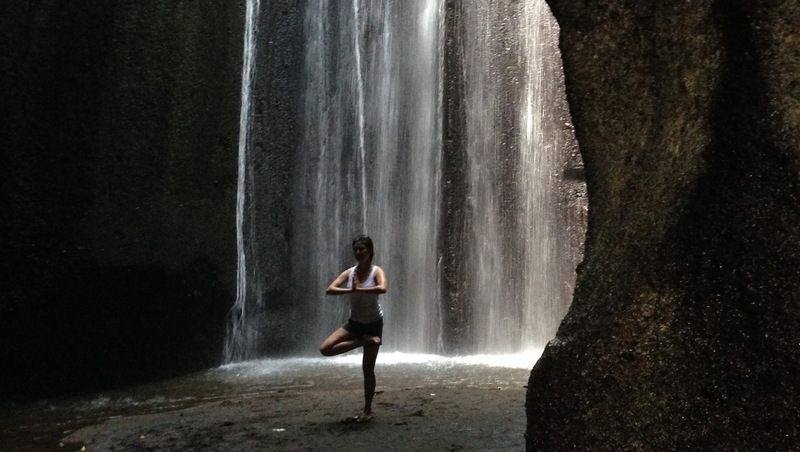 Tukad Cepung Waterfall is a hidden waterfall in Bali . Magnificent , noble waterfall surrounding by great nature landscape . For local peoples is well known as a romantic place . There are quite a number of local teenagers come here to visit the waterfall every day . 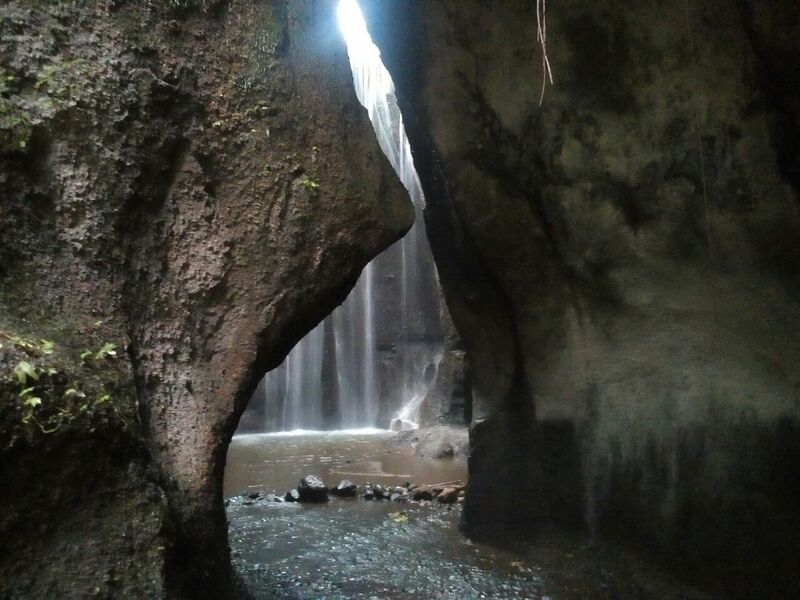 Tukad Cepung Waterfall is located in the eastern part of Bali in Tembuku district, Bangli region . Approximately 1, 5 hours drive from south Bali and 40 minutes from Ubud . The Waterfall is consider one of the hidden waterfall in Bali . Visiting this place could be a choice of your out of tourist trails plan . Where right now only few tourist familiar with this site . Tukad Cepung Waterfall is reachable by any vehicles , from the parking lot you will need to walk down through the stairs to reach the river . 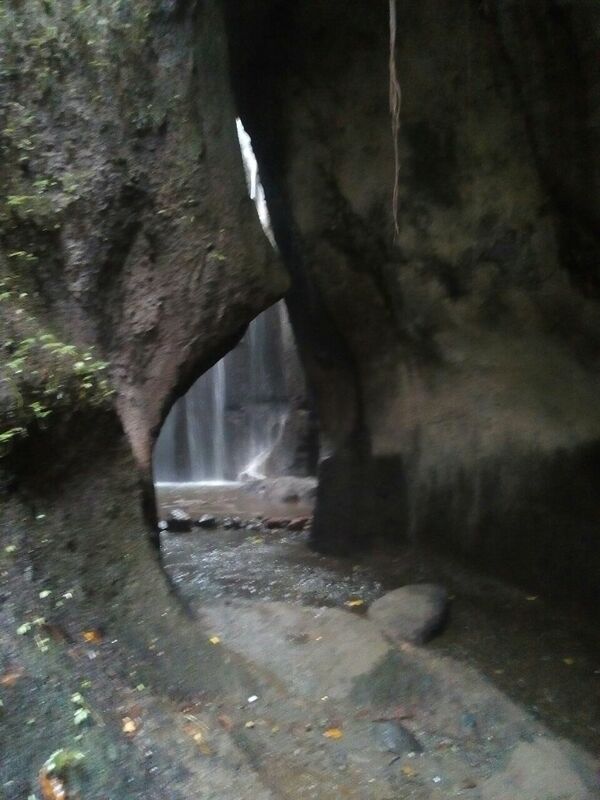 The waterfall located just behind the cave , so you can not see the waterfall when you arrive at the river . 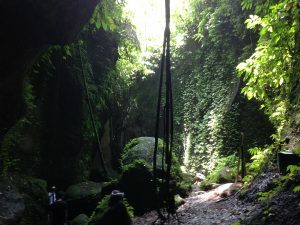 We have to walk through narrow cave to get in . 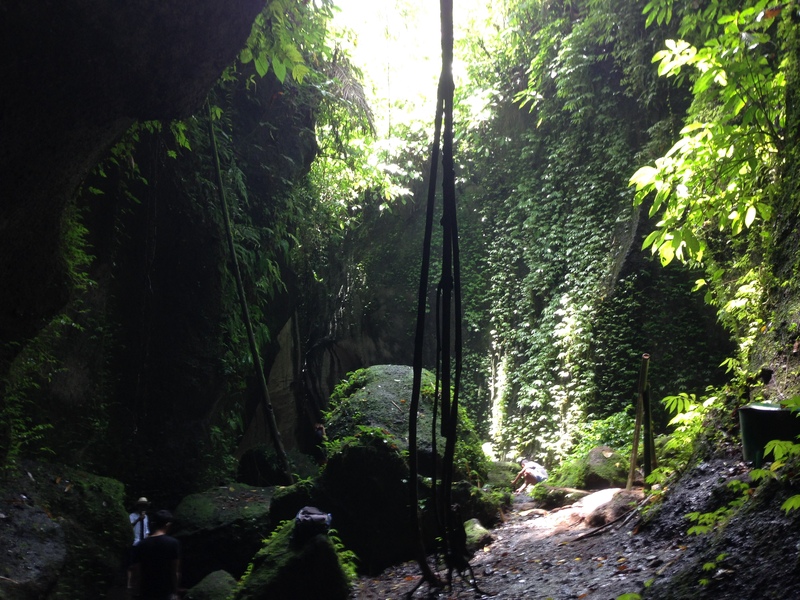 When you enter the cave you will see the waterfall behind the big wall looking like a cave . A lot of local peoples come to visit this place especially during the afternoon time . The best time to visit the Tukad Cepung Waterfall is in afternoon time when the sun right over the cave . When the light piercing into the wall of the cave and you will see the reflection of the light through the wall . Its a beautiful nature view but please when you visit this site have to follow what the villagers instruction . This place is consider a holly river for the villagers . From the parking of Tukad Cepung waterfall , we will need to walk around 20 minutes through the villagers farm , irrigation canal and also stairs . Some stairs are very steep and also not well maintain stairs when we reach the river , got to be careful because its wet and slippery . We also will pass the bamboo forest before reach to the river . There’s also a place for purification by the river near the waterfall . Great looking waterfall from the river in front . 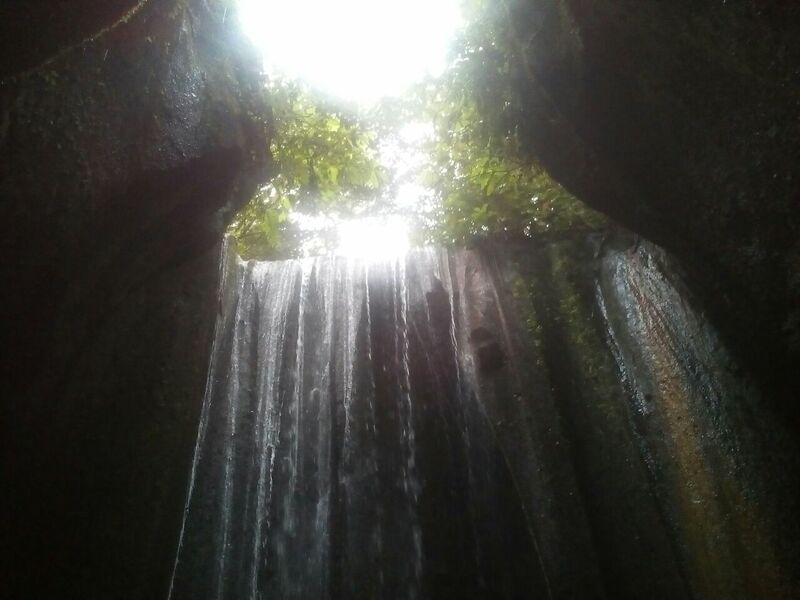 The high wall looking like cave’s gate with magnificent waterfall inside . Visiting waterfall with our clients from Serbia and Croatia . Kristina and friends who visiting our island for few days . The Waterfall is well maintain by the local villager . No entrance fee require but just the donation .